The Appalachian mountain chain runs up the east side of the United States and into southern Newfoundland. But the Appalachia region, broadly speaking, has always eluded precise geographic definition. The musical tradition nurtured amongst its ridges and valleys over the past three centuries has caused similar debate. The Appalachian mountain chain runs up the east side of the United States and into southern Newfoundland. But the Appalachia region, broadly speaking, has always eluded precise geographic definition. The musical tradition nurtured amongst its ridges and valleys over the past three centuries has caused similar debate. 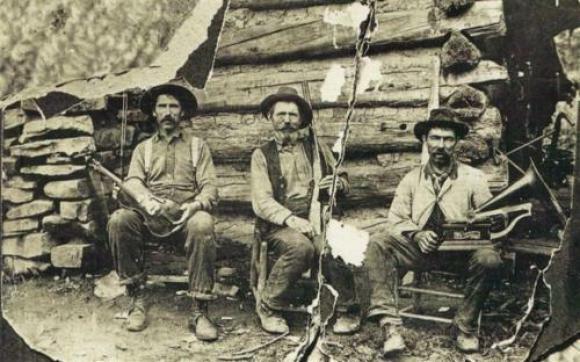 Appalachian Mountain Music emerged with the arrival America’s first European immigrants in the 1700s. Originally based on Anglo and Celtic ballads and dance tunes, it was soon strongly influenced by banjos brought to the region by African-American slaves. In the early 20th century, blues had a decisive impact. The music was recorded for the first time in the 1920s, and this was the beginning of a gradual but fundamental shift in the way knowledge has been transmitted from one generation of musicians to the next—a shift that has provoked numerous discussions around authenticity. The primary sources of information comprised informed consent interviews with participants paired with observation field notes to contextualize and situate the research within participants’ natural settings (Berg 2007; Marshall 1996) when possible for offline interactions. After transcribing interviews and assigning pseudonyms, data were descriptively coded (Creswell 1998; Bogdan and Biklen 1992). The comparison of participants’ perspectives with researcher observations and constructs drawn from the literature served as a form of triangulation for accuracy of data and analysis. The authors further separate musicians into three categories that reflect distinct experiences of learning: enculturated musicians, pre-interenet revivalists, and post-internet revivalists. The enculturated musician is exemplified by a quote borrowed from a 1998 study of bluegrass festivals: “Everybody in the family plays, so from the time I was born, I was bombarded with pickin”. They are musicians who grew up with the music as part of their local culture. The emergence of the “pre-internet revivalists” is linked to the development of American folk music in the 1950s, with Peter, Paul and Mary, Joan Baez and Bob Dylan cited as prominent examples of musicians who did not grow up within the Old Time tradition, but adopted Bluegrass as adults. For these late-adopters who had never lived in the Appalachian region, the fact that music from the mountains had been recorded was vital; long-playing records were an integral part of the adaptation process. Festivals and adult music camps also played a significant role. Post-internet revivalists are individuals for whom online resources and communication via the internet have been the primary means of absorbing knowledge of Appalachian music and culture. [Our purpose is] making music for ourselves – We tend to create the art of music … It’s not a performance. In fact, a lot of times, the audience is a distraction we basically try to ignore. Some musicians would just as soon they not be present. It’s that constant interplay between are we playing together as a group and they can just listen if they happen to be around as non-players. Or do we actually want to exclude those people? Whereas obviously for professional musicians an audience is at the heart of what they do, and the source of their livelihood. “Professional” is of course not synonymous with “authentic”, but there is a deeply intwined relationship between the music industry and generalised perspectives on what constitutes authentic bluegrass music. While it might seem intuitive that enculturated (or ‘old time’) musicians who grew up within the tradition would have the most definitive role in such designations, very often decisions about what is included in the cannon are made by those who sit within circles somewhat farther outside the tradition, either as revivalists, members of the industry, or even as collectors. While recording technology allowed for the first ‘revivalists’, the internet has created another circle of learners. The authors focus on Banjo Hangout, an online forum which often serves as a space for debating the ‘right’ way to play particular Blue Grass and Old Time tunes. Apparent tension also exists between ‘old-timer’ musicians (enculturated and pre-Internet revivalist musicians) and ‘newbie’ revivalists (post-Internet revivalist learners) (Waldron 2011, 2012). The latter tend to believe in ‘canon’ and to argue issues of what is or is not authentic and traditional. Interviewees who were elders in the Banjo Hangout ostensibly had little patience for this mindset, derisively opining that if ‘they see it on the Internet, it must be true’. These musicians rooted in enculturated or pre-Internet revivalist learning tended to place their trust and confidence in an anecdotal perspective gained through narratives from respected tradition bearers. William Dabback is an associate professor at James Madison University where he teaches courses in instrumental pedagogy, conducting and graduate topics. His research interests centre on questions related to adult music learning, community music and instrumental music pedagogy. He currently serves as the Chair of the Adult and Community Music Education Special Research Interest Group. Janice Waldron is an associate professor at the University of Windsor where she teaches instrumental and world music education courses. Dr Waldron’s research interests include informal music learning practices, community music, Celtic-Canadian and Irish traditional music, online communities of practice, and adult music education. The International Journal of Community Music publishes research articles, practical discussions, timely reviews, readers’ notes and special issues concerning all aspects of Community Music. The editorial board is composed of leading international scholars and practitioners spanning diverse disciplines that reflect the scope of Community Music practice and theory.